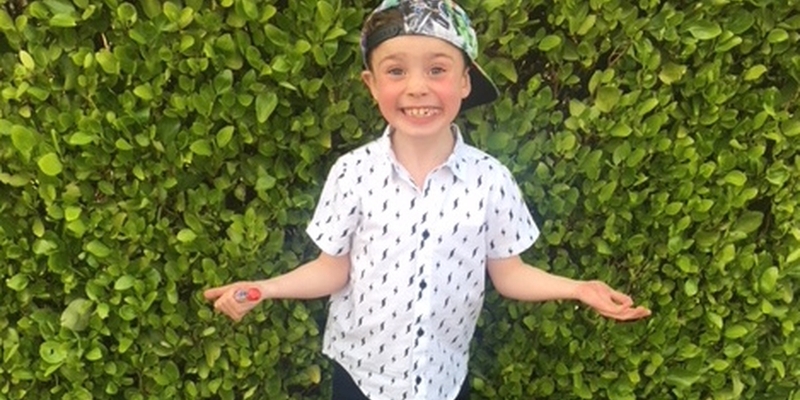 This week, we’d like to help a 6 year old boy from Northern Ireland who has been diagnosed with a terminal illness. Enzo lived a normal, healthy life for the first 5 years of his life. 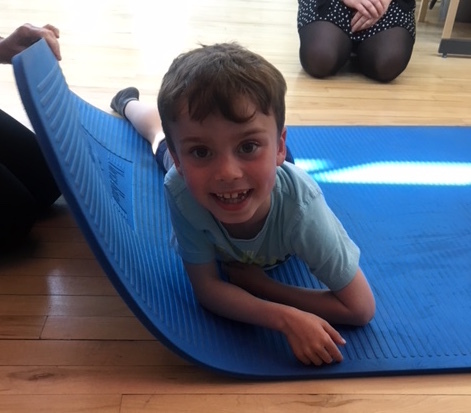 His mum, Hayley, noticed he wasn’t running properly, and he was referred by his physio to a consultant to undergo some tests. Shortly after, Hayley received a phone call from the consultant asking her to come in to discuss the results.“What I heard totally knocked me off my feet. My little baby, my beautiful little Enzo, has Duchenne Muscular Dystrophy,” Hayley said. DMD is a muscle wasting illness. Enzo will gradually lose mobility in his legs, and as he enters his teens his breathing and heart could be affected. There is currently no cure. Shortly after Enzo was diagnosed, Hayley lost her job. So now she stays home with Enzo and is his full time carer. Enzo doesn’t know the full details of his illness – Hayley is trying to let him live as normal a life as he can, for as long as he can. At the moment, Enzo gets tired very easily and struggles to walk too far or manage stairs. He has a lot of falls and his muscles get very sore and stiff, so he is in pain a lot of the time. Enzo and his mum live in temporary accommodation provided by the council. They will be here for several years until they can find something that better suits Enzo’s needs. The house they are in now doesn’t have a bath – something Enzo’s health workers believe would help relax his muscles and relieve his pain. As their accommodation isn't permanent, we can't buy Enzo the bath he needs but with your help, we want to go one step further and buy Enzo a hot tub for the garden. A hot tub might sound like a luxury item, but for children with DMD they are life-changing. It would improve Enzo's quality of life so much - especially as his illness begins to take hold. It would mean could have hydrotherapy to improve his mobility, and it would relieve his muscle pain. 1. Donations: Enzo doesn't have a bath, but would benefit hugely from being able to soak his sore muscles. We will use the donations to buy Enzo a hot tub for his garden. As well as relieving his muscle pain, it will enable Enzo to have hydrotherapy any time he likes! It will make such a difference to this little boy's quality of life. If we receive more donations than we need for the hot tub, we will use the extra funds to pay for other things that would help Enzo. To make a donation, please click the button below. 2. Messages: We'd love to send Enzo's mum , Hayley, some lovely messages of support. Enzo's diagnosis came as a devastating shock to her, and she has been through a lot in the past few months. To send Hayley a message, please write it in the form below (your message and name will be passed along to Hayley, but your email address will not). You can also post a card or message to Hayley at: 52 Lives (Life 169), PO Box 3154, Reading, RG1 9AT. (If you need technical help when making a donation, please feel free to email admin@52-lives.org).